Last night was Dawn's birthday and I tried to show her a great time. 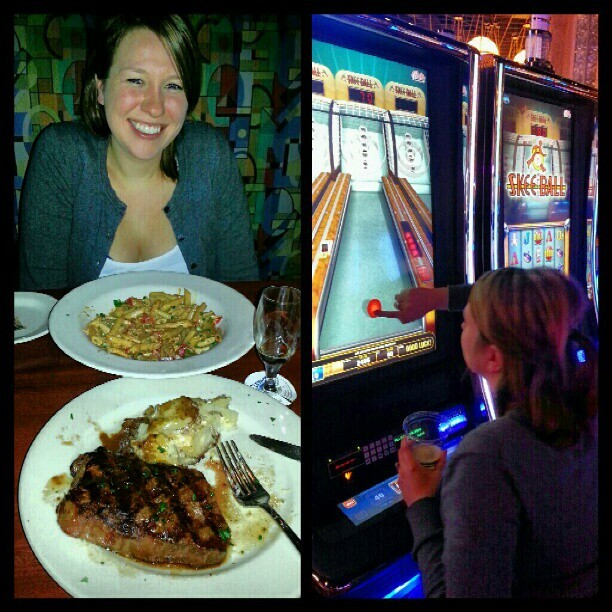 Five years ago was our first "real" date and I took her downtown to the Elevator Brewery and she loved it. This year I obviously had to do a little better. 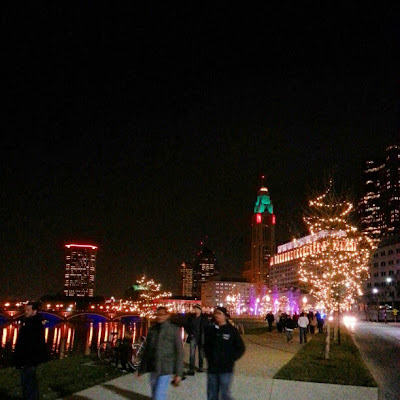 We first went downtown a little early to watch the Grand Illumination along the Scioto Mile. Pretty awesome. We then went back to the Elevator, shared a couple of GREAT meals and tried a few of their samplers. After that we went to Hollywood Casino where she had a lot of fun for $20 and managed to stretch that for an hour and a half. She was on fire for a while. We went downtown and met a few friends. Lots of fun. Increasing clouds heading into Sunday. Scattered light rain showers on an off through the day on Sunday with mild temps as highs climb into the low 60's. A lingering shower possible for Monday as high reach the mid-upper 60's, but a better chance for rain Tuesday as a cold front swings through bringing cooler temperatures for the middle of the week. We dry out briefly before another cold front near week's end. Keep the umbrella handy and have a good one!